I’m so EXCITED!! I just received my December Flora & Flutter Paper Pumpkin Kit. Oh My Goodness, its probably my most favorite to date. I LOVE IT!! As I promised in the new year I’m going to host Paper Pumpkin Party. The ladies and I will for sure be making this lovely kit. Oh, I’m excited!! 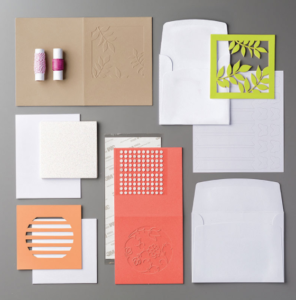 Check out the Stampin Up Video below to get a glimpse of this fabulous kit! 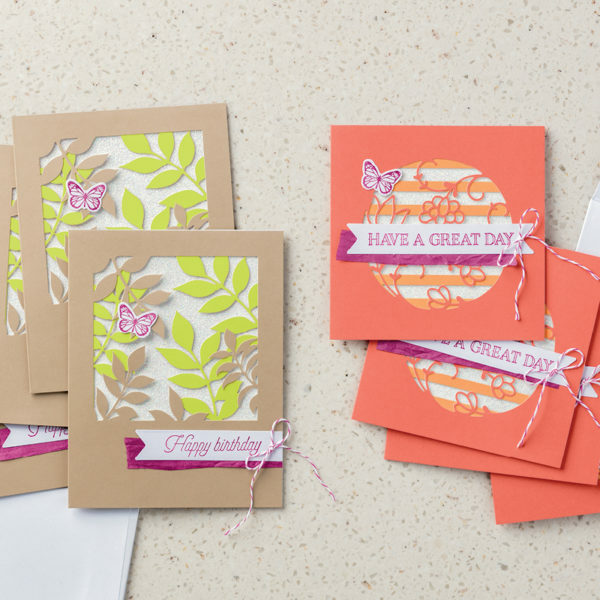 Many of my customers love Paper Pumpkin kits because they can either follow the project instructions or blaze new trails with countless ideas of their own. 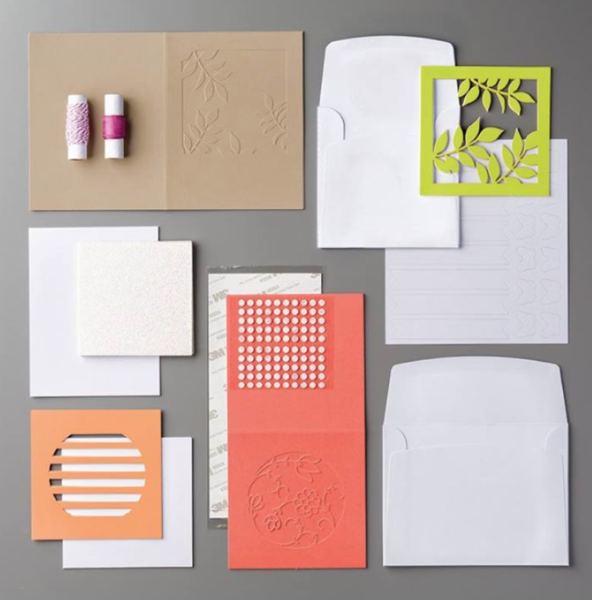 For instance, you could size the card differently with your own piece of Crumb Cake Cardstock and back the Glimmer Paper piece with Calypso Coral Cardstock. The look is fresh, fun, and ready for giving! Or stamp a gorgeous wreath on a Whisper White Cardstock banner and layer it over your choice of Designer Series Paper (we used Naturally Eclectic Designer Series Paper and Wood Textures Designer Series Paper). You might even go a little prehistoric and make a shaker card using our brontosaurus stamp from the No Bones about It Stamp Set. Just add a party hat, some sparkly Silver Mini Sequins, and some tiny cardstock cutouts and give this card to your favorite little paleontologist. They’ll save it forever! There are thousands of other projects that you could make with this beautiful kit!